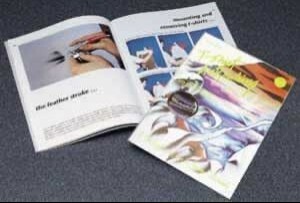 Learn basic airbrush care, cleaning and beginning to advanced painting techniques with a Paasche Model VL Airbrush. Application on T-Shirts, Hats, and other soft goods. This product was added to our catalog on 04/10/2002.